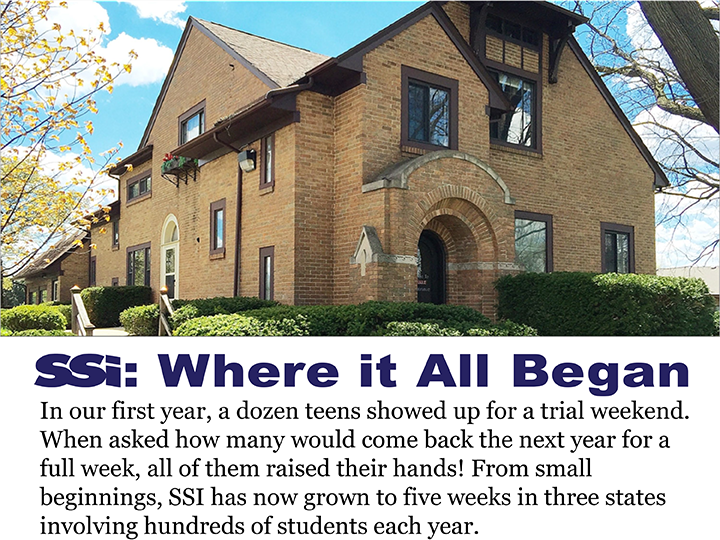 SSI was born in this building in 1994 while occupying donated office space. 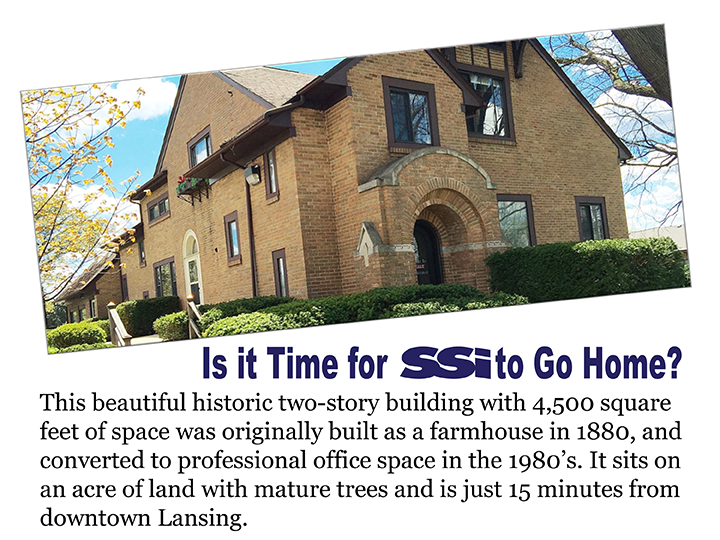 Providentially, all these years later, the owners are offering to sell it to us for $180,000, which is an incredible discount from the appraised value of $400,000. 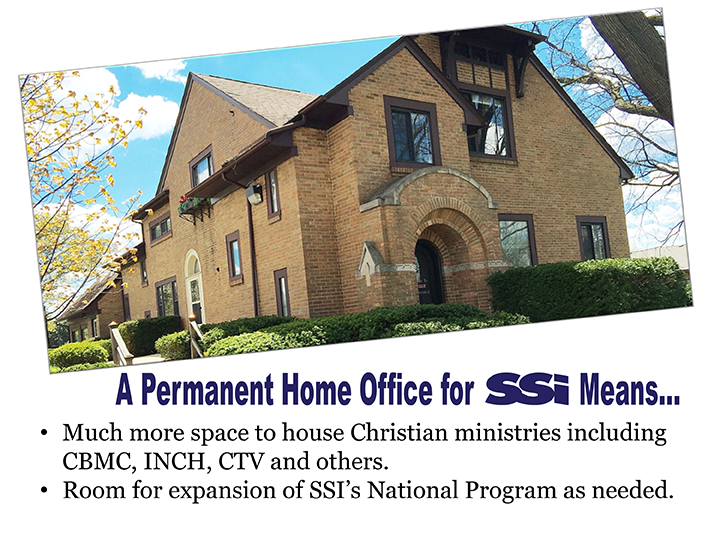 Over a ten-year period, compared to projected lease costs in our current space, the savings to the ministry will total more than $220,000. That’s nearly a dollar for every dollar invested, allowing us to devote more of our precious resources directly to our programs in Michigan and beyond! 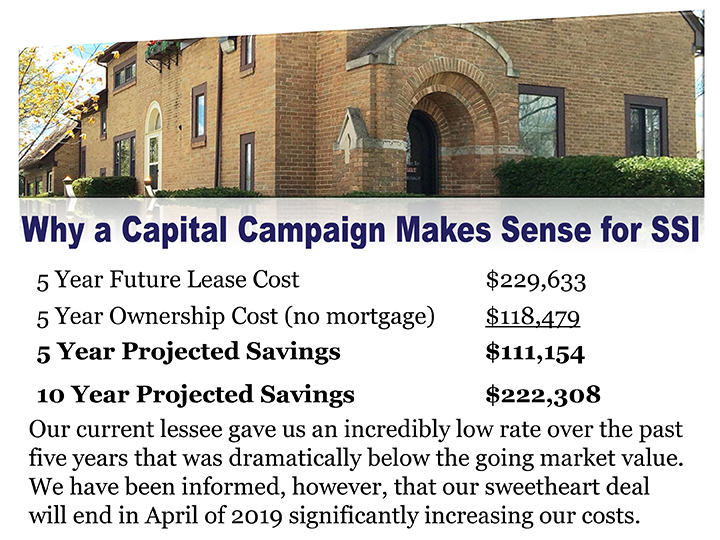 Our goal for this Capital Campaign is to raise $250,000 to cover the purchase price, moving costs, and needed renovations. 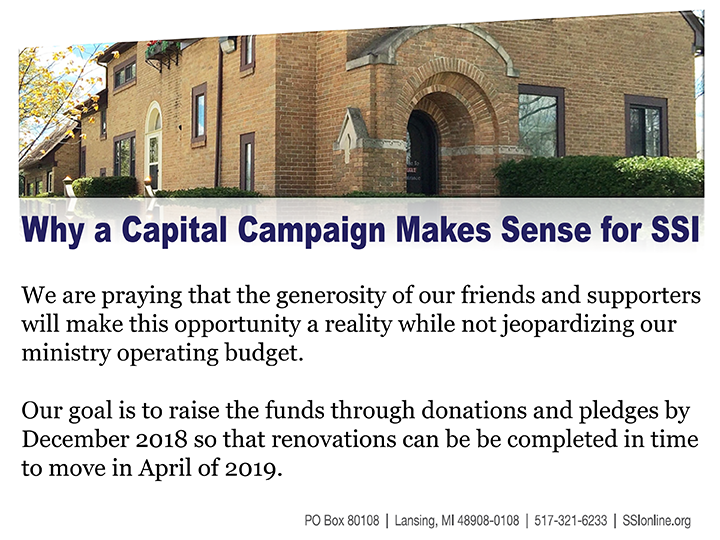 A generous donor has offered to match all contributions up to $25,000 and we are asking all of our friends and donors to prayerfully consider helping us achieve this goal. 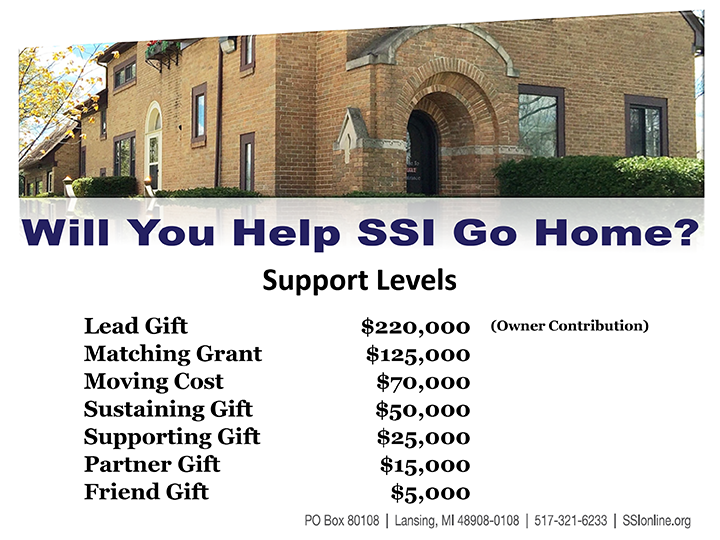 Will you help SSI go home? 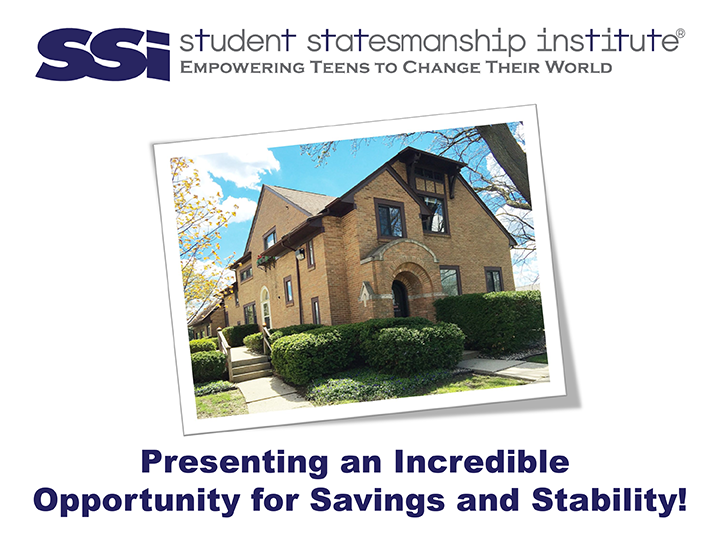 Please use the link below to review the entire presentation and use the form on this page to make your donation. Every gift, large or small, will be greatly appreciated! Thank you! 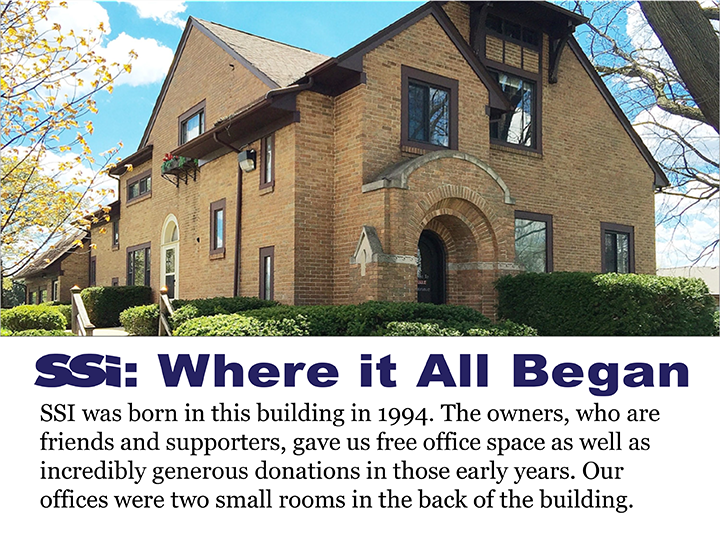 SSI was born in this building in 1994 while occupying donated office space. 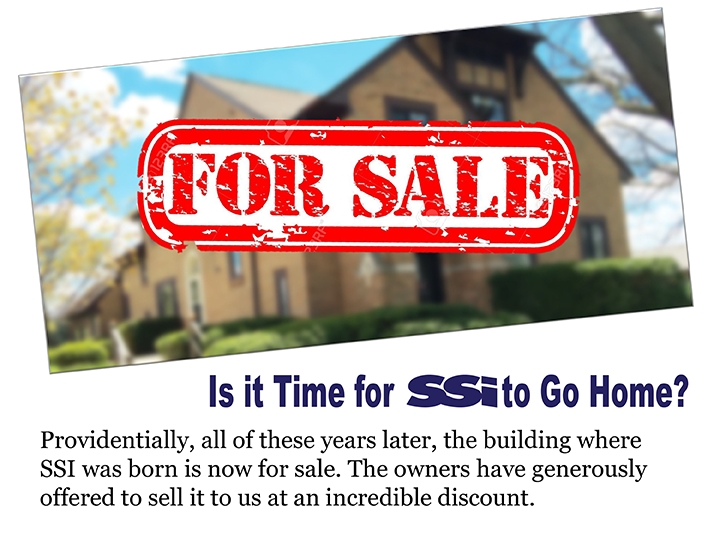 Providentially, all these years later, the owners are offering to sell it to us for $180,000 which is an incredible discount from the appraised value of $400,000. 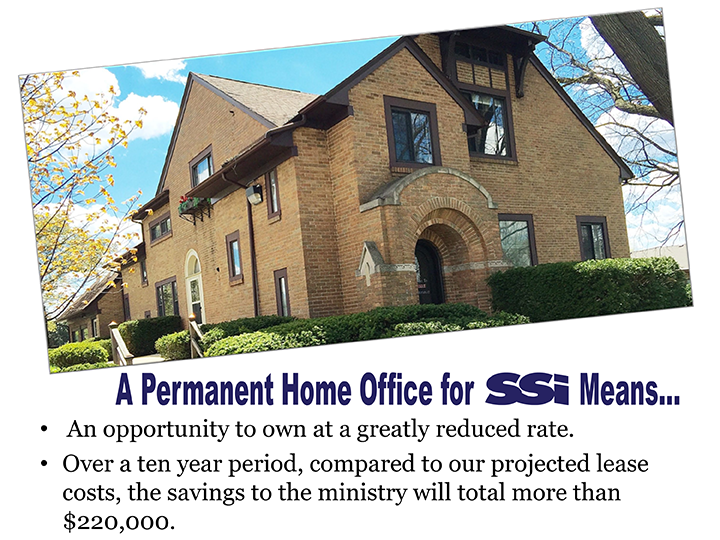 Over a ten-year period, compared to projected lease costs in our current space, the savings to the ministry will total more than $220,000. 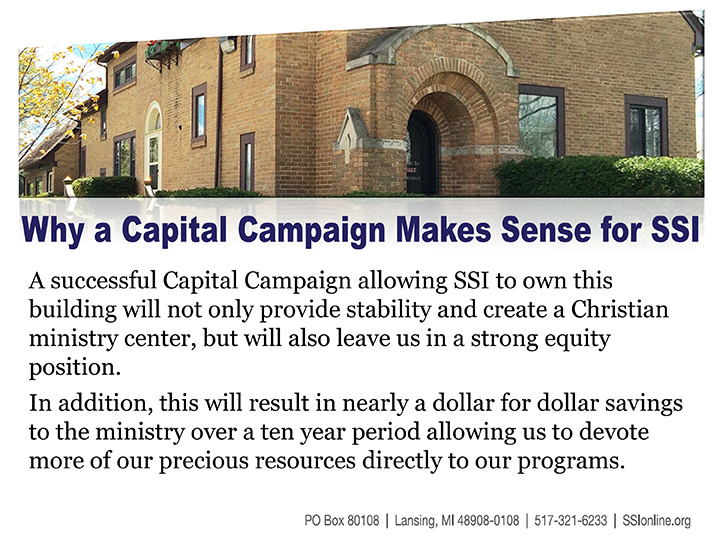 That’s nearly a dollar for dollar savings to the ministry allowing us to devote more of our precious resources directly to our programs in Michigan and beyond! 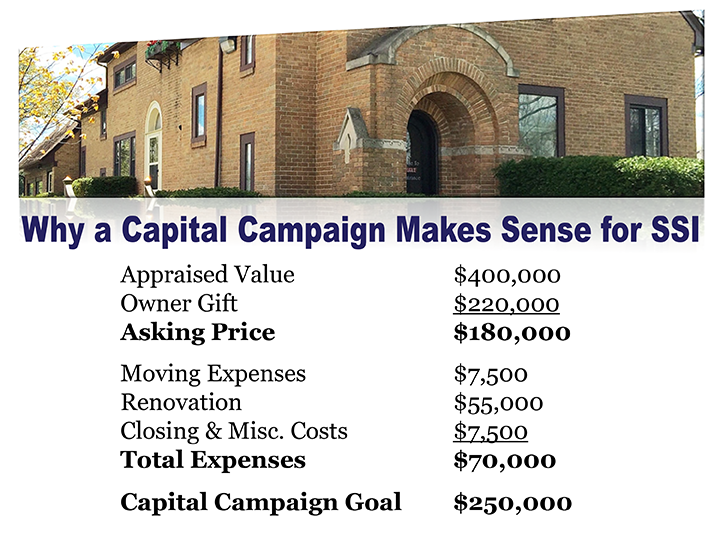 Our goal for this Capitol Campaign is to raise $250,000 to cover the purchase price, moving costs and needed renovations. 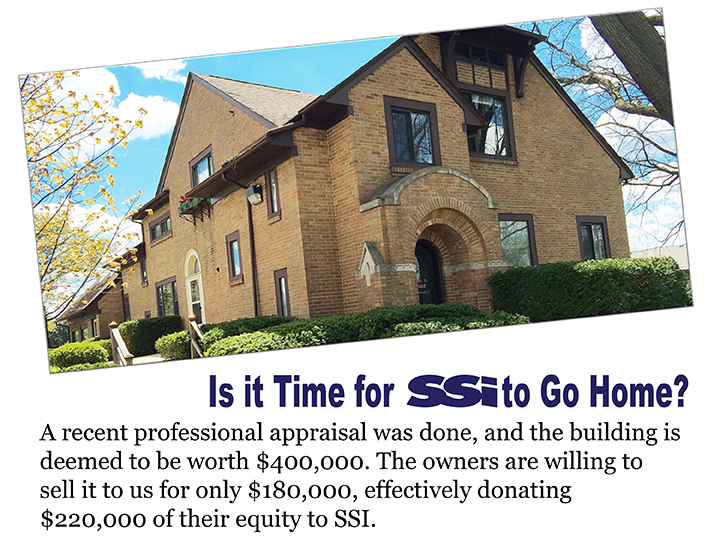 Will you help SSI go home? 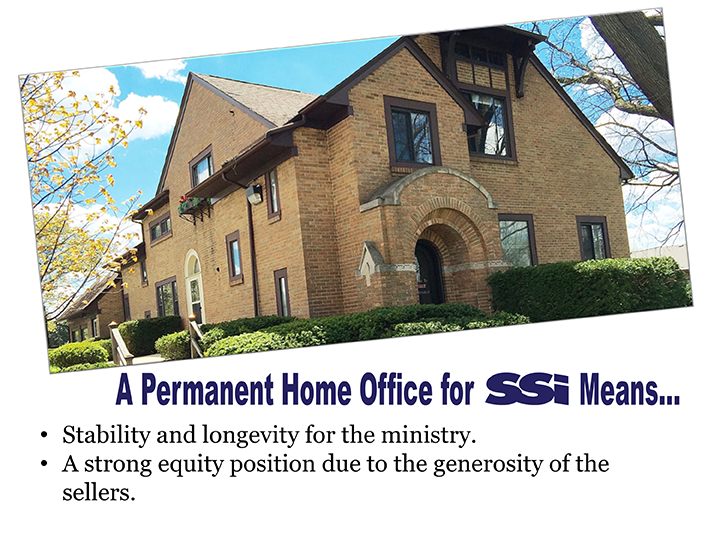 Please use the link below to review the entire presentation and use the form on this page to make your donation. Every gift, large or small, will be greatly appreciated! Thank you!! Is this a business/organization card, or personal card?